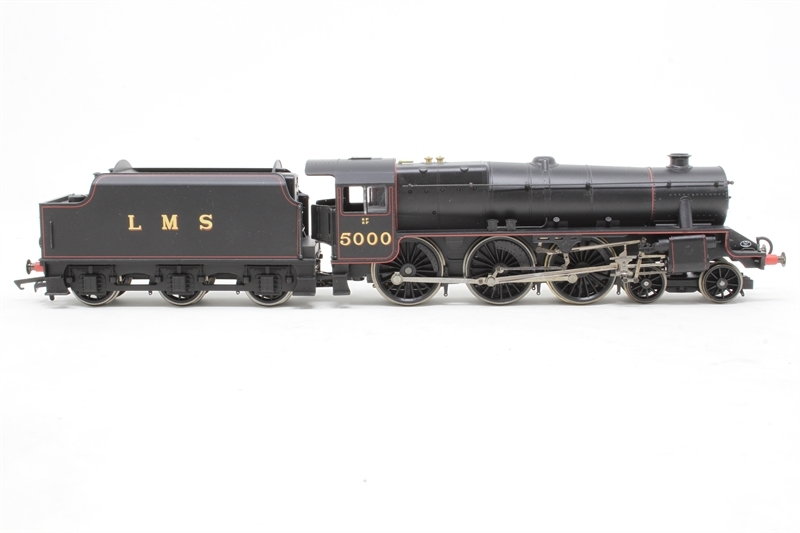 Steam locomotive, London Midland & Scottish Railway 4-6-0 Class 5MT number 5000, was designed by Sir William Stanier and built at Crewe in 1935 at a cost of £7000. The locomotive was withdrawn from service in 1967 having covered 961,000 miles. There were 12 locomotives of this class preserved after withdrawl and this specimen was the official one chosen by British Rail. The 'Black Fives', were one of the largest classes ever built with some 842 appearing between 1934-1951. 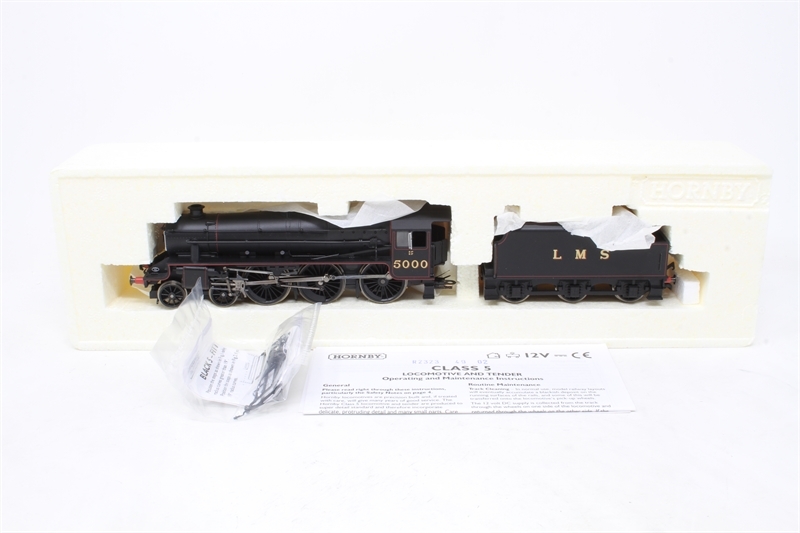 They were introduced in 1934 as a standard 2-sylinder mixed traffic (passenger and freight) locomotive suitable for use on any of the LMS lines. 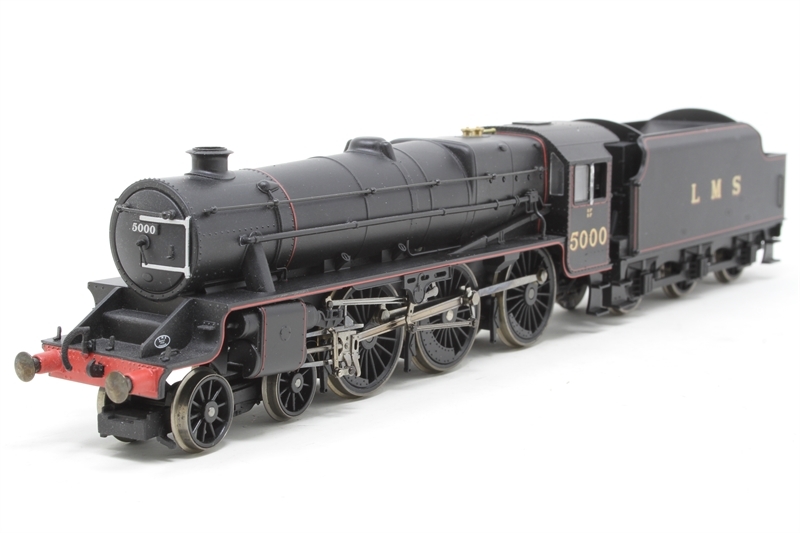 The class formed the basis of the British Railways 4-6-0 Standard Class after nationalisation. 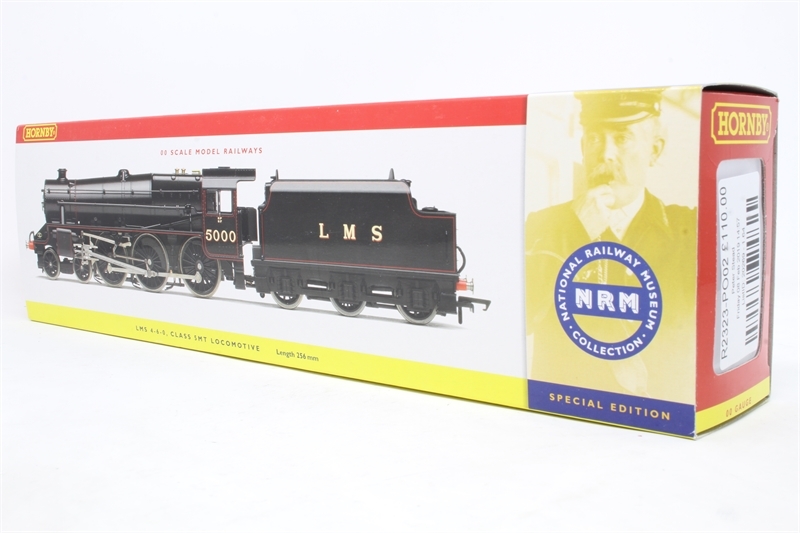 Since 1974 number 5000 has been part of the National Collection at the National Railway Museum, York. It has spent most of its life in preservation on static display at the museum. In 1978 the locomotive was rebuilt at the Severn Valley Railway, Bridgnorth, and ran for the next ten years on this railway and on main BR lines hauling steam excursions.